What a year! 2015 was one of the best years during my time in the lovely Point England School. I enjoyed every single part of this year and surely will miss it. The teachers were so good to us students. Mrs Tele’a would always tell us that we are family, and this year, every time I came to school, I would always feel like I was at home. Yes, 2015 was like a ride on a roller coaster. There were good times that go up but as well as the bad times that goes down. All in all, it was a lot of fun ! I have learnt a lot from the teachers. We did not only learn about our work, but also how to be the best we can be and ‘SWALL’. SWALL is the acronym of ‘Show What Awesome Looks Like’. Every time something goes wrong the teachers just say those easy words to us, to remind us of who we are and where we are from. We’ve continuously said this phrase ever since the year 8 leadership camp. Looking back from the beginning of the year. I actually was not excited to come to school. But now, everyday, I would always wake up to another beautiful day at school. Every morning we have assembly in our senior block also known as ‘The Street’. This is where we do our mihi/himene and karakia to prepare for our day. For this whole entire year I’d say that my highlights was everything. But, if I had to chose about 3 highlights, I would probably chose our year 8 leadership camp, going to Polyfest, and my favourite, when the year 7 left to Rainbows End and it was only the year 8s at school. Why are those your highlights you may ask? Well year 8 camp was an amazing camp. We had learnt a lot of things about, well obviously, leadership and more. All year 8s had the chance to start connecting with each other and that was quite cool. Polyfest was another highlight of mine because we (year 7&8 2015) were the first ever Point Englanders to go to Polyfest for a trip. We were chosen out of 20 schools to come and watch. I enjoyed watching many of their speeches and getting to go around the many workshops as well as shops. That was very exciting. Lastly, and my most favourite highlight. I enjoyed that day when the yr 7s left because I just wanted to spend more time with the whole year 8 before we head off to college. Not many of us are going to the same school. 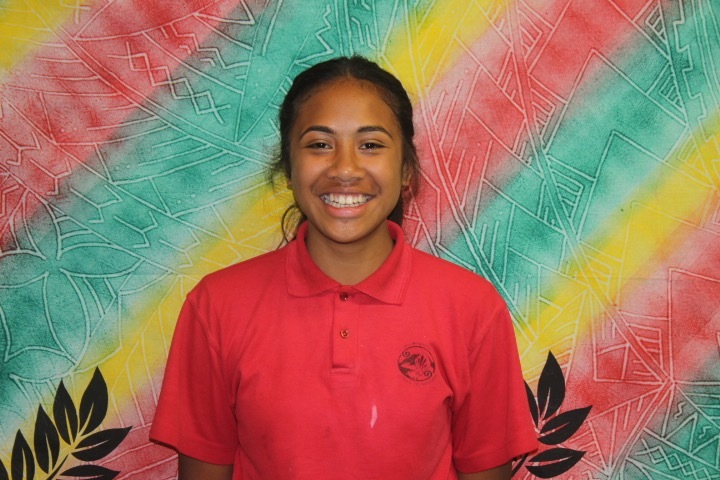 Our year 8s are heading to schools such as, Tamaki College, Selwyn College, Auckland Girls Grammar and other more amazing schools. The last day of school just keeps coming closer and closer and I keep on getting sad. My time here at Point England school has been such an amazing experience . The teachers here are so great and the students are all very intelligent. I just want to thank all the teachers that have taught me throughout my journey here at this lovely school. Thank you for teaching me how to do everything that I am able now to do. I am going to cherish and keep every single memory I have had here. I LOVE POINT ENGLAND !!!! What a thoughtful, well written and engaging reflection on the past year. I am sure that you will feel a mixture of emotions as you move from Pt England to your new school. It is a huge transition but I am sure that you will manage it really well. If you would like to prepare yourself for the move to college, you could consider participating in our summer blogging programme. It will help you to maintain your reading and writing skills and will, hopefully, set you in good stead when you enter Year 9. To join the Summer Learning Journey blogging programme,please copy and paste the url for the site (https://sites.google.com/site/summerlearningjourney/home-1) into your browser and register for the programme. You can then complete any of the weekly activities that are located on the 'Weekly Activities' page and then blog about them. Each blog is worth points and, at the end of the summer, I will add up your points. The students with the most points from each school will earn prizes. Would you like to join our journey? I hope so! I'll check your blogspot again later in the week to see if you've taken up the challenge and joined our journey.